Laos: A Remote Battleground For North And South Korea : Parallels Laos is in the interesting position of remaining aligned with the increasingly-shut out North Korea and forging closer ties with South Korea and the U.S.
North Korean restaurants, like this one in Vientiane, Laos, are run by the North Korean government as a way to earn hard currency. North Korea and Laos have had good relations for many years, but South Korea is trying to make inroads as well. North Korea and South Korea maintain strict separation most everywhere in the world. Yet oddly, one of the few places they intersect is Laos, the small, communist nation that's long had ties with the North and now has growing links with the South. "As strange as it sounds, Laos is kind of this remote battleground for inter-Korean politics or competition and diplomacy," says Sokeel Park, research director for Liberty in North Korea, a private South Korean organization that assists North Korean refugees. Laos rarely receives international attention. But it's in the spotlight this week as it hosts a gathering of the Association of Southeast Asian Nations, or ASEAN, which has drawn many heads of state, including President Obama. To find evidence of Laos' longstanding ties to North Korea, look no further than the dining establishments. Laos hosts a North Korean-run restaurant in the heart of Vientiane, the capital of Laos. 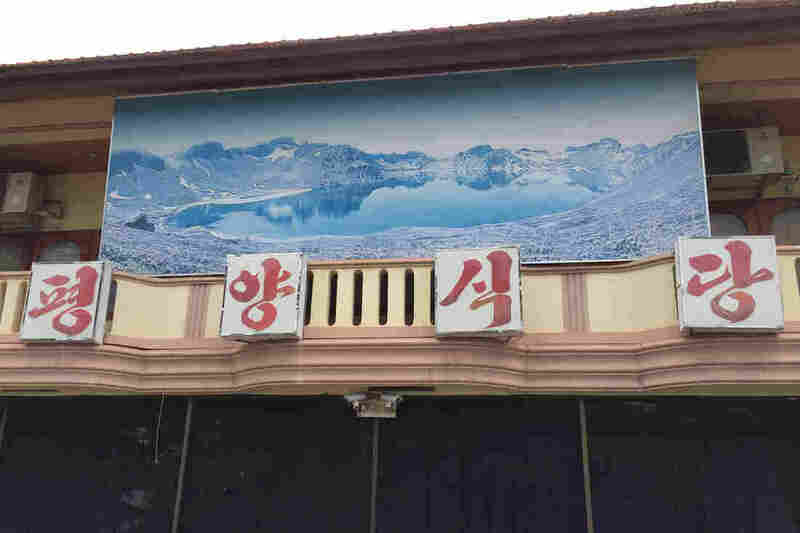 These North Korean restaurants are part of the regime's money-making operations, a way for Pyongyang to earn hard currency abroad, since sanctions have increasingly cut it off from the rest of the world. "North Korea has had fairly close relations with Laos for several decades. They're both countries that [are] at least nominally socialist or communist states," Park says. Park's work includes some dealings with Laos. It's one of the countries North Korean defectors sometimes pass through on their way to a final destination, like South Korea. "Laos is one of the countries in Southeast Asia that North Korean refugees will go to out of China," he explains. The vast majority of defectors cross from North Korea into China, rather than attempting to cross the heavily guarded inter-Korean border. North Korea's nuclear test and missile tests brought a new round of international sanctions this spring. It's also been an opportunity for South Korea to court Laos. "We think Laos and other countries previously friendly with North Korea have turned around considerably after the U.N. sanctions went into effect, and that they're now supporting South Korea's policies," says South Korea's Foreign Ministry Spokesman Cho June-hyuck.